Article by Chris Maguire, editor and co-owner of the UK’s newest tech magazine BusinessCloud. “What do you know about tech?” asked an unnamed family member. As ringing endorsements go this was hardly what I was looking for when I announced I was leaving my safe job as editor of the North West Business Insider for a leap into the unknown. I’m the first one to admit that I’m not a ‘techy’ person. I don’t sit at my laptop in my underpants at 3am in my bedroom coding. I know very little nothing about HTML but throughout my 25-year career as a journalist I’ve realised there isn’t a single tech sector any more – every sector is tech. Think about it for a second. From calling an Uber; booking a holiday; ordering the weekly shopping; staying in touch with friends; and downloading flight tickets, everything involves technology in one form or another. Retail, healthcare, sport, property, finance, travel, education, manufacturing etc are all underpinned by tech. If you want to scale your business you need tech. This struck me as odd. How can you shape the direction of a business if you don’t understand the benefits that technology can bring? And that’s how BusinessCloud was born with the simple aim being to demystify tech. Of course I couldn’t launch BusinessCloud without a partner and I’m lucky to have Lawrence Jones in my corner. Lawrence is the co-founder and CEO of fast-growing Manchester headquartered tech firm UKFast. One of the country’s highest profile tech entrepreneurs he and I are committed to making a difference. And that’s exactly what’s happened. So far we’ve produced five editions of BusinessCloud; hosted 40+ events; overseen a growing website; and launched a weekly newsletter. Our social media following is flourishing and the feedback has been brilliant. From artificial intelligence to virtual reality; from automation to holograms; from bots to big data; from algorithms to social media; from cloud to cyber security; the list goes on. We’ve held events in Manchester, Liverpool, Lancashire, Leeds, Newcastle, Birmingham, Bristol and Belfast. We’ve interviewed start-ups to unicorns. Because we’re a tech company we’ve embraced tech. We film our roundtables, breakfast events and conferences and upload the videos and podcasts onto our YouTube channel. Some people like to read stories; some like to watch videos; and some like to listen to interviews. In this day and age you have to be omni-channel. So how can Bermans clients and contacts benefit? To learn about all that is going on in tech in the North West I suggest that you sign up to our quarterly magazine, which is the bedrock of BusinessCloud. It’s 80 pages and is completely FREE. If you want to subscribe just email subscriptions@businesscloud.co.uk or complete the form on our website – http://www.businesscloud.co.uk/subscribe. Every quarter we like to get out and visit businesses in the region and help promote the interesting things they are doing. 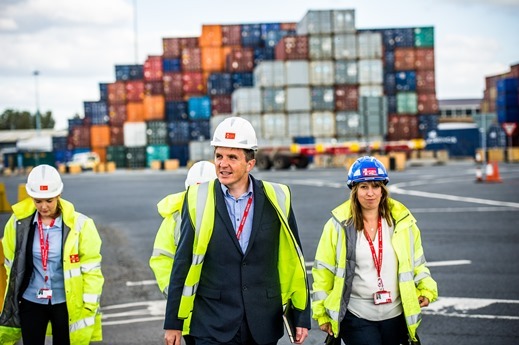 We’re gaining real momentum and working with some big name clients like KPMG; NorthEdge; Peel Ports; recruitment experts Search; Jumpstart; Watch This Space; and OBI Property. We have also recently featured Bermans clients, SRO Solutions Ltd and Smartlife Inc. If you are doing interesting things in tech we would be delighted to hear from you and feature you in the magazine. We also host events for the business community to get involved. Some of these have been joint events with Pro-Manchester and Business Growth Hub. I have listed below details of our calendar of events that you might want to consider attending and if you have an idea for an event in your particular industry then get in touch and we will see if we can work together. If you haven’t seen BusinessCloud then you don’t know what you’re missing. Let us demystify tech for you. 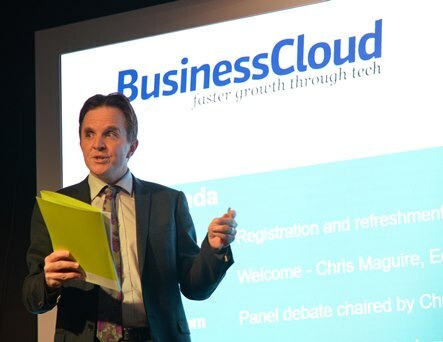 Chris Maguire is the editor and co-owner of BusinessCloud and was previously Editor at Insider Media’s North West Business Insider magazine from January 2012 to March 2016. Over the course of a 25-year career he’s also worked for the Daily Mail, Gloucestershire Echo, Yorkshire Evening Post and his career started at Chorley and Leyland Guardian.